260. 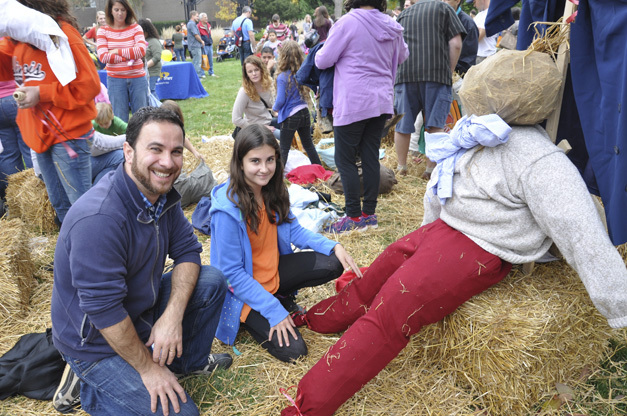 NoonDaily: Scarecrow Fest, Haunted House, Apple Picking, OH MY! Home 260. 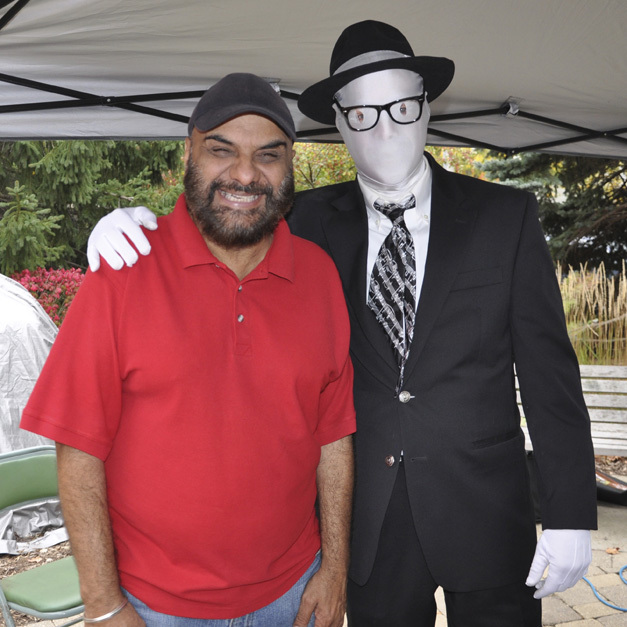 NoonDaily: Scarecrow Fest, Haunted House, Apple Picking, OH MY! 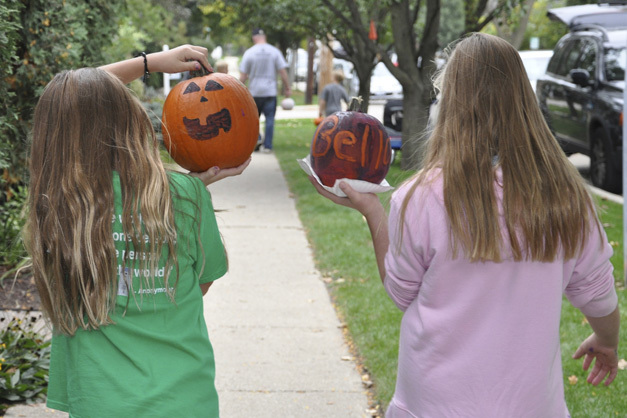 This weekend was filled with fun fall family activities in and around Barrington. I chose to give writing a break Saturday and Sunday to enjoy time with my husband and three kids. 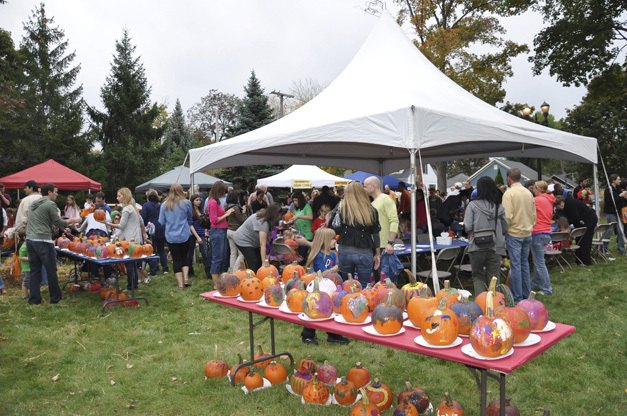 We started the weekend with playtime at Langendorf Park followed by a little pumpkin painting, cookie frosting and pony rides at Saturday’s Scarecrow Festival hosted by the Village of Barrington at Memorial Park on Hough Street. Painted pumpkins were drying and the park was packed by the time we arrived. 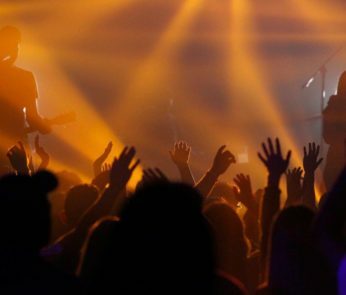 Despite his Invisible Man costume, you couldn’t miss Bob the DJ who was spinning spooky songs with a personality that simply can’t be masked! I caught up with him chumming with Kaleidoscoops owner and ice cream man, Gary Dandona. 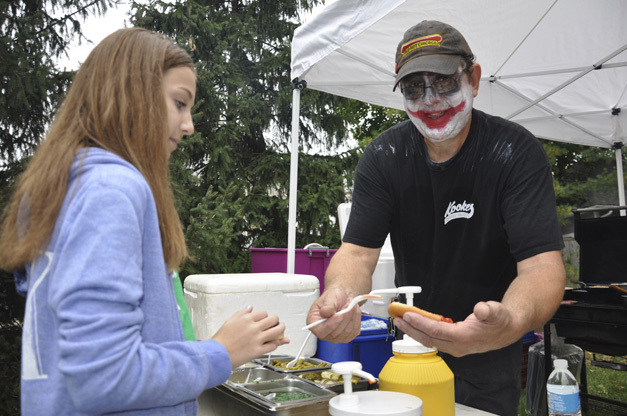 Kooker’s was in the house, too, serving up lunch for hungry families and we were impressed with chef Bill Seger’s face paint. I’d say he’d rival Jack Nicholson’s version of The Joker any day in the next Batman remake. 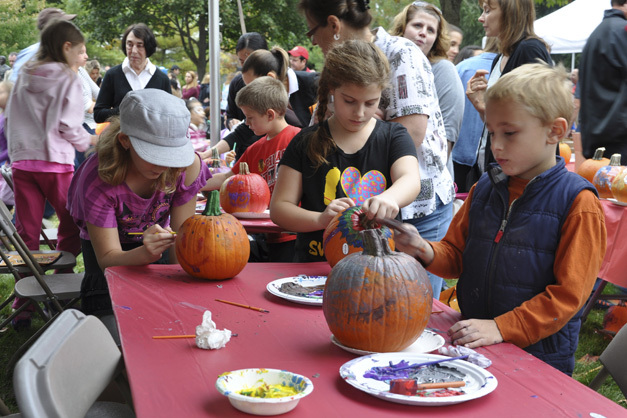 There were pumpkins and paint all over the place, along with artists of all ages. Village of Barrington events coordinator Anne Garrette says they had 500 pumpkins for painting and 700 cookies for decorating and they went fast. 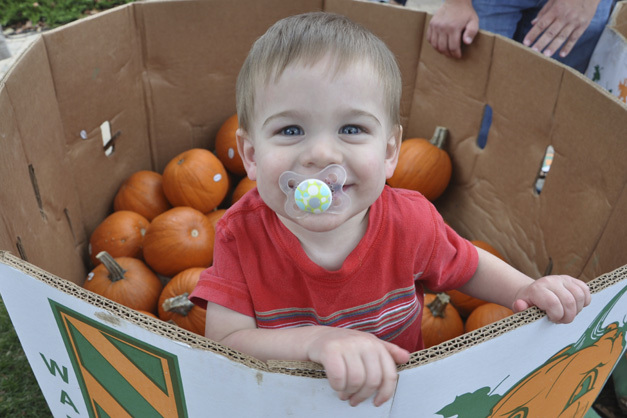 We spotted this little Zach-in-the-Box (1-year-old Zach Rolain) having some fun inside an almost-empty container of pumpkins. And there’s something that’s much more fun about building a scarecrow somewhere other than your own backyard. 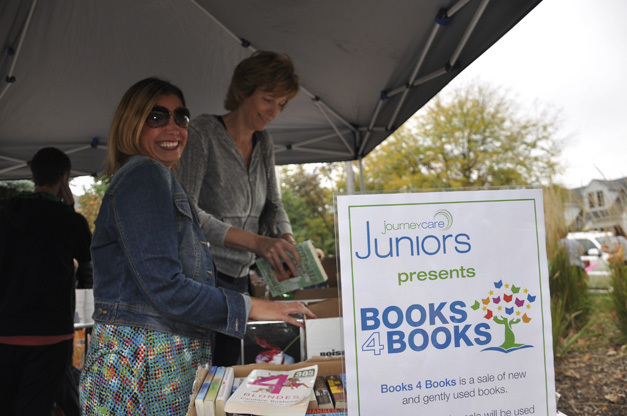 New at Scarecrow Fest this year, JourneyCare Juniors hosted a book sale, raising over $300 to help buy grief books for children of JourneyCare families who have lost a loved one. I found a couple of book models willing to pause for a quick photo (Thanks, Doreen Colletti-Muhs). They’re also going to be hosting a fundraiser at Meatheads Burgers on Saturday, November 9th, by the way. 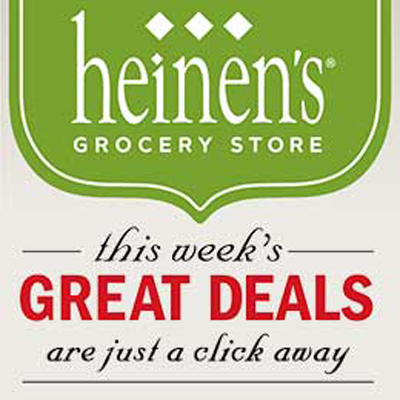 Meatheads will be donating 10% of their sales that day to support JourneyCare Juniors’ Books4Books campaign. Best part about Scarecrow Fest?  Painted pumpkins and scarecrows for your front porch without the mess at home! So that was Saturday, but on Sunday morning we made an awesome discovery when we set out to go apple picking within a short drive from Barrington. 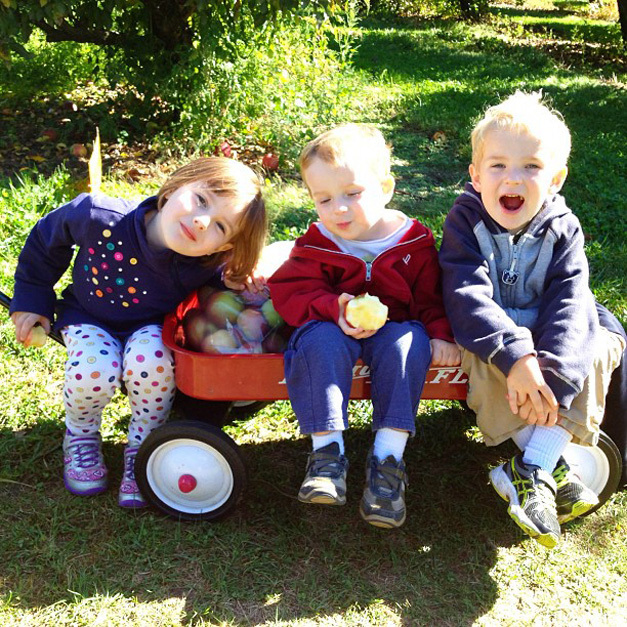 We wanted to avoid big crowds and found a great family orchard in Woodstock which I would highly recommend. It’s called Lang’s and there were no crowds, about six acres of apple trees in all varieties and big bags (plus red Radio Flyer wagons on loan) to fill with your goodies. 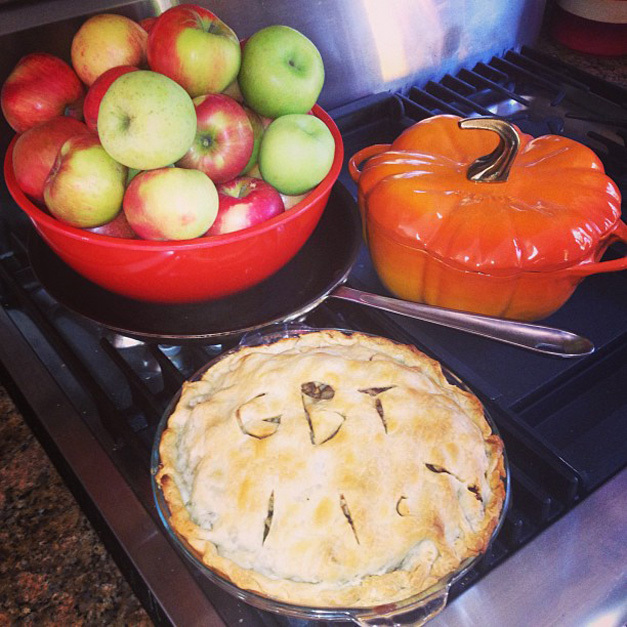 We just took a homemade pie out of the oven and look forward to enjoying the fruits of yesterday’s low stress, high fun apple picking adventure. I can’t wait to go back. If you want to check it out, you’ll find their website at LangsOrchard.com. 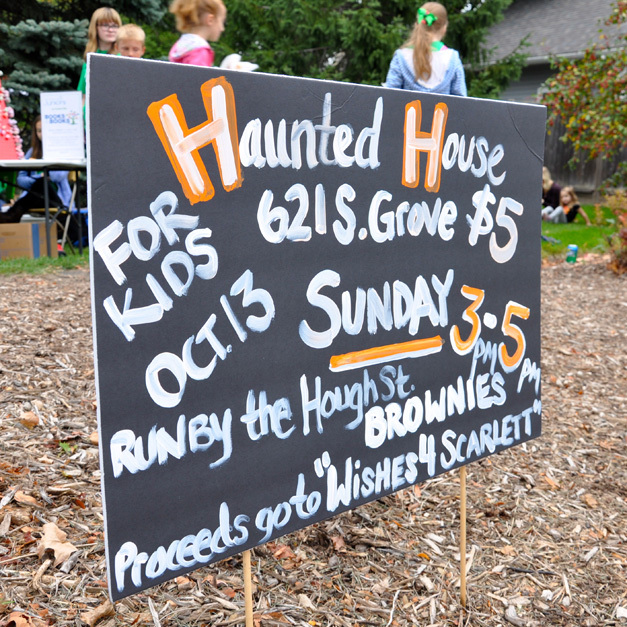 And we couldn’t make it, but I heard last night’s Haunted House hosted by Hough Street School’s Brownie Troop was a huge success! 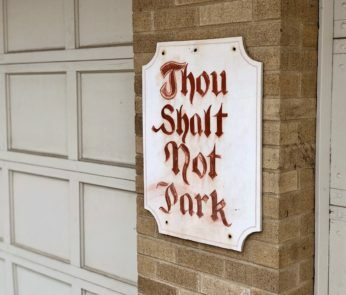 Troop leader and mother-of-three, Erin Shectman, gave the girls free reign to transform the coach house behind their home on Grove Avenue to scare up support for a great cause. The girls chose to raise money to help cover the cost of a power chair, lift and accessible vehicle for two-year-old Scarlett Sepe, who was diagnosed with Spinal Muscular Atrophy, or SMA, at the end of 2011. SMA is a life threatening genetic disorder that causes muscles to deteriorate, eventually leading to respiratory failure. The Brownies hosted the event featuring kids and adults playing the parts of a witch, clown, Dracula and fortune teller. Not-too-scary signs directed guests toward the back yard, where they enjoyed some Spooky Cider and brownies as they waited to enter the haunted house. Kids in costume played on the swingset, and skeleton shirts were popular attire. Haunted House for Scarlett Sepe a Huge Success! 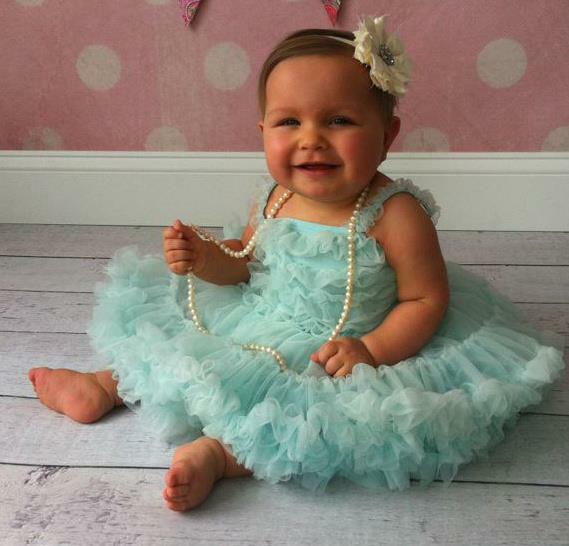 For more information about Scarlett, her family and SMA, visit WishesforScarlett.com or CLICK HERE to make a donation. They’re only about $8,000 away from raising the money the family needs to pay for Scarlett’s power chair, lift and an accessible vehicle. For more about Scarlett and the Sepe’s story, I highly recommend you watch this video produced for the family by BHS-TV and narrated by 365BarringtonTV reporter, Catherine Goetze. 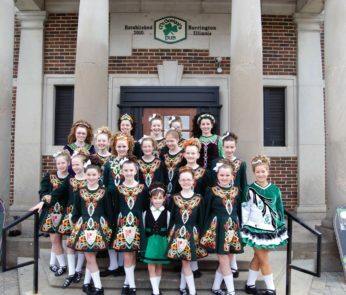 To learn something new every day about people, places and things to do in Barrington, visit us again for tomorrow’s NoonDaily Update at 12 p.m., right here at 365Barrington.com. 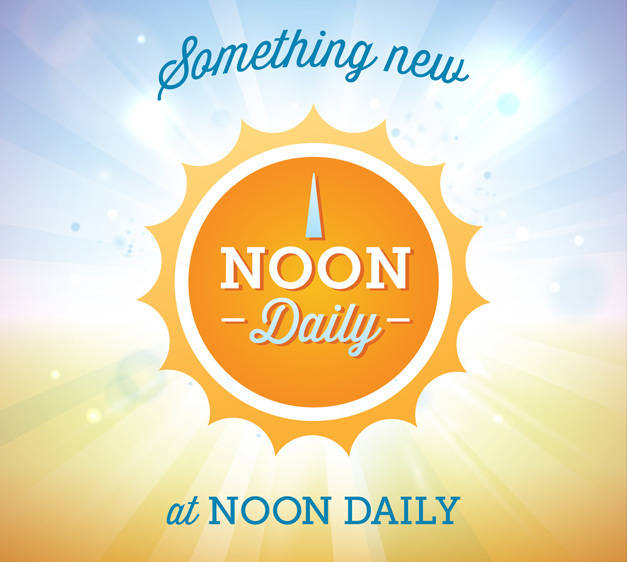 Check back for our latest NoonDaily Update, tomorrow at 12 p.m.! Next post 261. 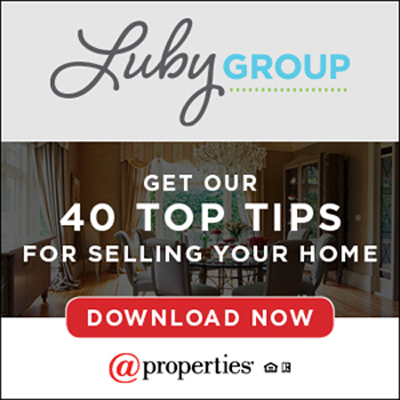 NoonDaily Update: 5 Things to Love About 118 Raymond Ave.